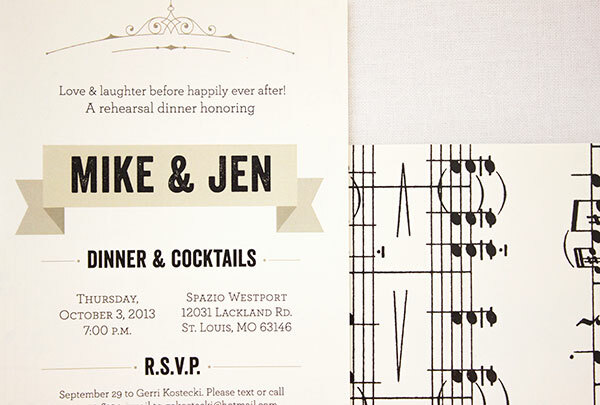 I know more than a few musically inclined couples who would be head over heels for these modern, music-themed rehearsal dinner invitations by Anne Kostecki. The ivory, white, and cream color palette is a timeless classic and elegant, ornamental elements pair with modern typography for a look that’s chic, stylish, and so very melodic. My husband’s aunt contacted me about designing a special rehearsal dinner invitation for them. 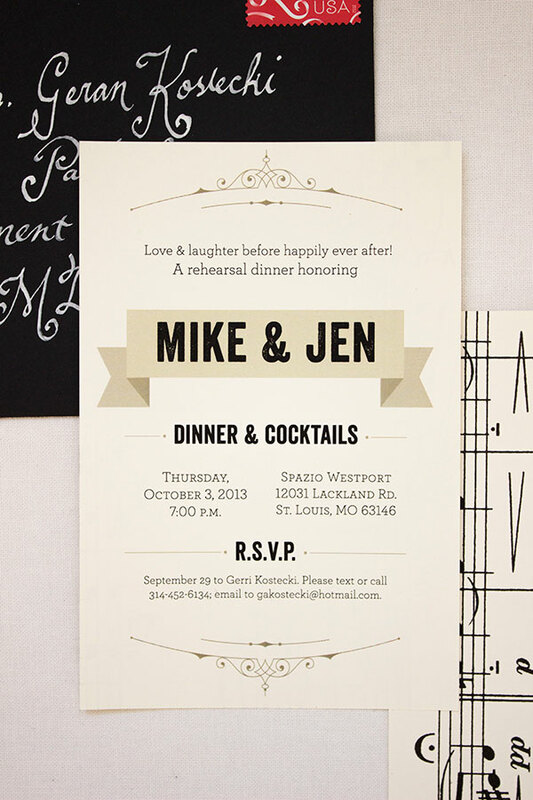 She was designing the event to mirror their wedding colors, which were black, white, and ivory. She also wanted the invitation to reflect the couple’s love of music and all things vintage, as well as the groom’s career in music. I was inspired by early classical sheet music and scrolls and decided to back the invitation with sheet music. The front of the card features minimal, delicate ornaments and a textured font meant to resemble an inked letterpress look. 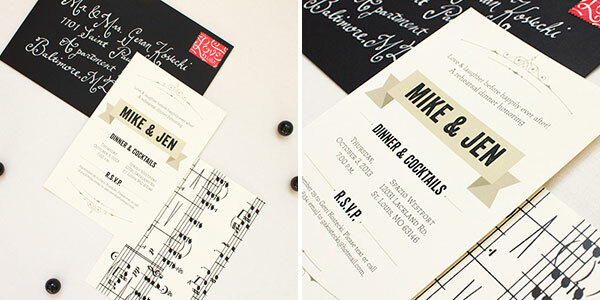 She loved the invitations and actually used the extra prints to decorate the rehearsal dinner venue (the sheet music backs also functioned as the table assignment display decor). 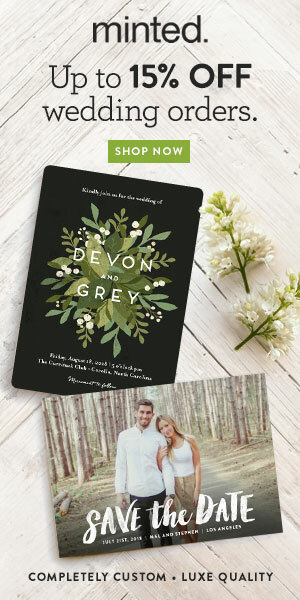 The invitations were digitally printed on Cougar White 80# paper.